What happens when a small-town business owner & architect with a few part-time years on the city council takes on what turns out to be much more than a full-time job? As the chair and fiduciary agent for hundreds of thousand residents and taxpayers scattered all over the huge Sonoma County the job is daunting enough even without crumbling infrastructures, endless pot holes, serious water & power problems, illegal aliens, bankrupt pension systems, strangling in high taxes, drowning in red ink, and struggling to recover from the worst recession in close to a century. 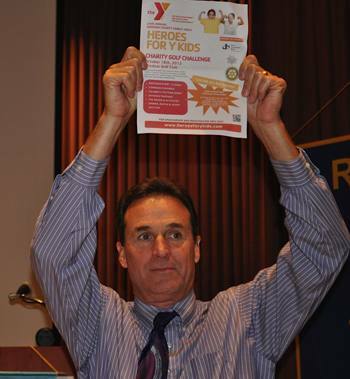 David Rabbitt is Rotary’s speaker next Wednesday at noon. If he doesn’t mention these problems, maybe you could ask him. October 9: What’s New in the World of Elections? We only had one visiting Rotarian on Peggy’s 12th meeting; a frequent visitor from the Rotary Club of Santa Rosa Sunrise, contractor Steve Amend. Also visiting today was Andrew Smith, the current Sonoma County Agricultural Commissioner and the guest of Doug Johnson. Baby Ella McNeill was either taking a nap or was fascinated at all the grownup talking and carryings-on. Penny Tibbetts had only sad news to report today: Robert Icard, the husband of former Rotary Club member Kiska Icard, has been diagnosed with cancer. And the sister-in-law of Past President Yale Abrams recently passed away after an extended illness. Following up on a comment in the Rotary Club suggestion box, President Peggy asked that we note when we are notified that a fellow Rotarian is absent for any significant length of time. 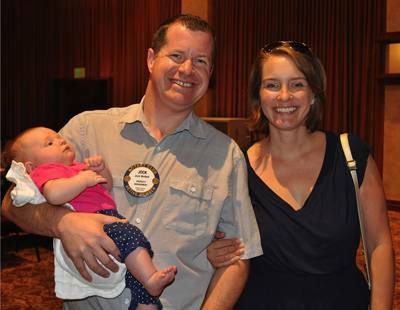 For example, Deborah Gray, a member of our Rotary Club since 2004, is on leave of absence from the club due to family circumstances. 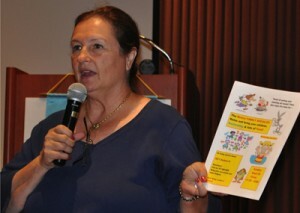 She gave The Santa Rosarian permission to inform members of her status. President Peggy delivered the stunning news that due to the restructuring of one of Santa Rosa’s newer banks, our Rotary Club was losing the impressive new member who had embraced Rotary’s fellowship and club involvement in her short time with the world’s first service club. Sadly, Manuela Gonzalez’s position at Rabobank was eliminated; therefore she must resign from our club—one of those unexpected twists that reminds us that a touch of life’s unfairness can be the spark of motivation that we often need to inspire the future. How many of us mentally began to count the number of banks—or customer service businesses—in Santa Rosa that could really use an employee like Manuela Gonzalez. Let’s stay in touch. In this issue of The Santa Rosarian is an update regarding the current status of the endowment of the John E. Brown Memorial Fund. Please scroll down to immediately before the summary of this week’s program. Ray Giampaoli, obviously ebullient as usual and in charge of the raffle this week, proudly announced that today’s raffle jackpot had grown to $537. Two Jokers were waving goodbye from the purple velvet bag as Queen Jeanne Levin’s number was drawn, but the orisons were out to lunch, along with our club’s very first woman president (1998-99). The little 3 of Hearts that Jeanne drew yielded her the $10 consolation prize…which she gladly accepted. Doug Johnson and Carmen Sinigiani need volunteers to work the Monte Rio rest stop for the Grand Fondo Bike Ride on Saturday, October 5th. Volunteers are only needed usually from 6 am to 12 noon, plus we have lots of fun making peanut butter and jelly sandwiches, cutting fruit, and playing host to all the grateful riders. In exchange, the Santa Rosa Cycling Club helps us out at the Giro Bello at absolutely no cost to our Rotary Club. The Rotary Family Social will be a blast whether or not you or your family show up this Sunday morning, September 22, for a barbeque at Cathy Vicini’s house ‘way up on Sky Farm Drive. This is a family social, so plan on bringing the kids and the grandkids. From 11:30 to 4 pm Sunday afternoon: The address is 3811 Sky Farm Drive, on the tip top peak above Fountaingrove, overlooking much of the known world. Remember: Casino Royale Night –Saturday, January 18th, at the swanky Mary Agnes Furth pavilion in Windsor. Debi Zaft has already collected some luscious raffle items, but you know Debi…she needs more, so keep those donations coming! 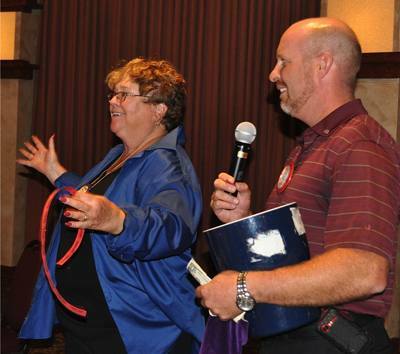 Debi also announced that she will be filling in for President Peggy at next week’s Rotary meeting on September 25th. The YMCA Golf Tournament, Friday, October 18th, will feature a Rotary golf challenge. Past President Bill Rousseau reminded his fellow Rotarian golfers & friends to get those foursomes together and sign up! Bill Rousseau’s campaign kickoff is Wednesday afternoon, October 2nd at Charlie’s Grill in Windsor. 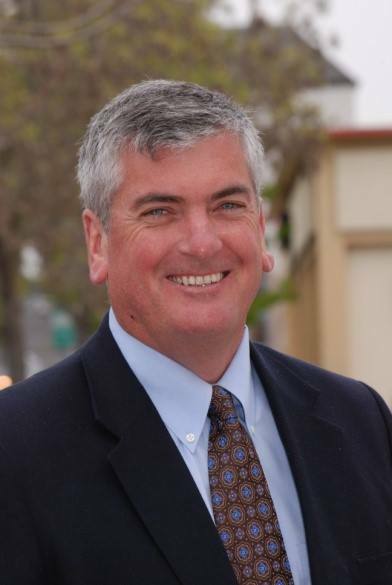 Our Rotary Club’s immediate past president is running for re-election to the county office which he has held for the past four years: Chief Deputy Assessor— Sonoma County Assessor’s Office. Of course, you are invited to the party! Bill Rousseau went with Jim Johnson to the Santa Rosa Chamber’s Agriculture BBQ (and we have the photographs to prove it!) According to Past President William, Jim demonstrated to Bill what a marketing wizard he is…a pretty funny story. Believe It Or Not! Julia Parranto has been asked to join the Santa Rosa Symphony League Board of Directors. Shannon McConnell has been traveling a lot for business and pleasure, including watching baseball from the Oakland A’s VIP Suite, courtesy of her employer, Sonic.net. Shannon and the family—including Mom Jane Duggan—had enjoyed a long tropical vacation on the island of Kauai. Creed Wood, who recently took some time playing golf and hiking up at Lake Tahoe, has returned with one of the rare environmental reports from a retired surgeon: “The forest fire smoke is gone”. Since he missed the last meeting, Creed caught up, contributing $50 to son Christopher’s Paul Harris Fellowship and another $50 to the John Brown Memorial Scholarship Fund for veterans. Eileen Carlisle announced that she and 10 or 12 of John Brown’s “special friends” had gathered at Nona Lucas’ home Monday night, Sept. 16th, for the 10th “Just John” birthday party without John. She made a donation to John Brown Memorial Fund, and announced that she was leaving on a trip to the exceptional lands of Burma and Vietnam. The John Brown Memorial Veterans Scholarship Fund within the Rotary Club of Santa Rosa Foundation got a major boost at the Rotary Club meeting on September 11th, when more than a dozen Rotarians (and growing) made contributions ranging from $50 to $100 each. The club’s local foundation’s goal is to raise $25,000 in order to establish a permanently-endowed named fund in John’s memory prior to September 14, 2016; the 5th anniversary of John’s passing. John’s birthday was observed last Monday, September 16th. Contributions continue to be made and a current total is not yet available, but the past few weeks have been significant and updates are forthcoming. 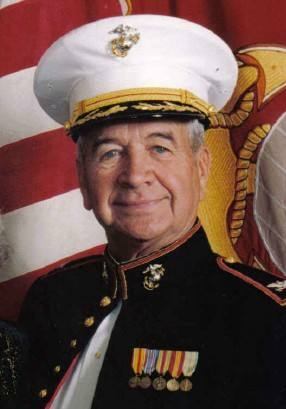 Once the goal is reached a perpetual scholarship will be offered to a military veteran each year in John’s memory. Another very important announcement was made by Wayne Rowlands last week when he committed to funding the John Brown Veterans Scholarship for 2013-14 in the amount of $1,750. This year will be the third year Wayne has personally funded the scholarship. Wayne’s generosity has allowed the Foundation to start offering the veterans scholarship immediately following John’s passing rather than waiting for the memorial fund to reach endowed status. 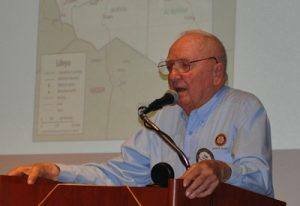 Rotarians are encouraged to continue contributing to the John Brown Memorial Veterans Scholarship Fund. Contributions can be made electronically through the Foundation page on the club website or by writing a check to the Rotary Club of Santa Rosa Foundation— Attn: John Brown Fund. Frankly, fellow Rotarian Dan Schell is the last guy you would think would get in trouble with the government. His college studies included both French & German included language studies but he ended up working in agricultural engineering for a company that sold irrigation equipment around the world. His initial duties were in inside sales, but he became so bored with the job that he was willing to go into outside sales. His first major sale was 70 irrigation systems to Mexico. He worked Central and South America…a good use of his language skills. Here’s the true story, according to Dan: In 1965, multi-millionaire Armand Hammer became interested in the oil-rich Libyan oil fields, but in the search for oil Hammer’s geologists at Occidental Petroleum discovered a huge lake under the sands of the Libyan Desert. So the Libyan government let Occidental Petroleum go for the oil in an exchange for developing the water at the Al Kufrah Oasis and Dan found himself managing a South American irrigation company, selling spare parts to maintain for the innovative but gigantic pivot irrigation systems developed for U. S. farmers, manufactured in Madrid, now owned by Libyan investors. Not wanting to get in trouble with the U. S. Government, Dan’s company was very thorough in their record-keeping. They kept the Central Intelligence Agency informed on their sales, even though such agricultural sales were excluded from the U. S. government’s regulations. However, Janet Reno, on behalf of the U.S. government, went after those companies selling illicit merchandise to the Libyan government and Dan’s company got sued. It appears that the U.S. government was going after the little guys because they could. Fines and imprisonment was threatened, but due to the company’s meticulous record keeping, they pretty much stayed out of trouble, especially after U. S. Attorney Peter Robinson took the case for them and Judge Fern Smith dismissed the case. But the attorney for the U.S. government threatened to pursue the case, willing to appeal and appeal again, if necessary. Dan’s company just did not have the reserves to fight the U.S. government. So eventually the company settled on a $40,000 fine, leaving Dan, his partners, their company much the wiser. And the rest of America’s would-be industrialists with yet another cautionary tale, courtesy of Dan Schell’s observations of life in the fast lane when, from time to time, the wheels come off.